If you are having problem in playing your multiplayer games or using messenger programs or you may be trying to connect to other’s system on the internet? But you are having problem in port forwarding. You may have blocked port on your router that is not allowing access to connect to internet while you are connected to your WI-FI network. Your router is in between your devices and internet, and it makes sure that data is coming and moving out in the right direction. Your router acts as a wall that keeps unwanted and harmful traffic out of your devices. But if you want to play multiplayer games or you may want to share files with other users then you may need to open a port. Ports are ways through which you may want to bring in useful traffic. By default, routers automatically configure safe ports on the internet. But in some cases you may need to open certain a port yourself so that a program won’t get blocked. 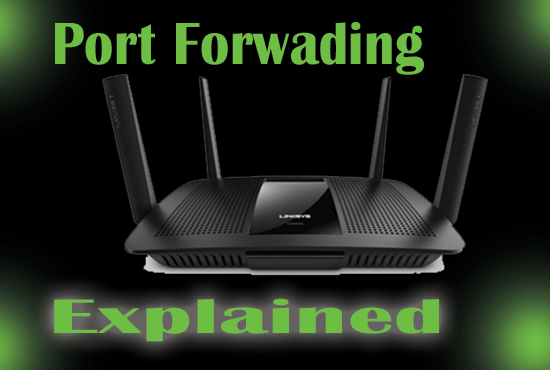 This process is known as port forwarding, and let’s see how we can do it. By default, devices IPS are dynamic which means they are changed after some interval of time. Whenever you turn off your router or your device, their IP is changed automatically. But if you want to forward port on your device IP, then you need to change it to static so that it doesn’t change whenever your router or device turns off. To forward the port you need to give your router the static IP address of your device for which you are opening ports. First of all, On your computer for which you want to open port, you need to know about your network details, goto start, and then type cmd into search, and then press enter. Type ipconfig/all in command windows and press enter. Note Down the above details highlighted in red rectangle, your details may be ‘Local Area Network’ or ‘Wireless Network Details’. As I am using Wi-Fi, so my details are under ‘Wireless Lan Adapter Wi-Fi’. 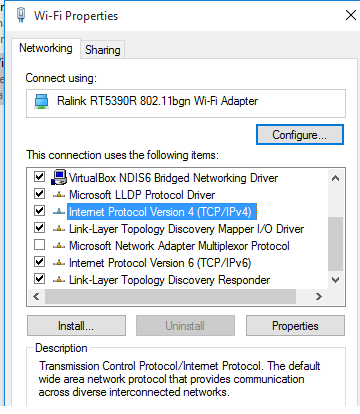 Now, To make your IP static on windows 7,8 or Windows 10. 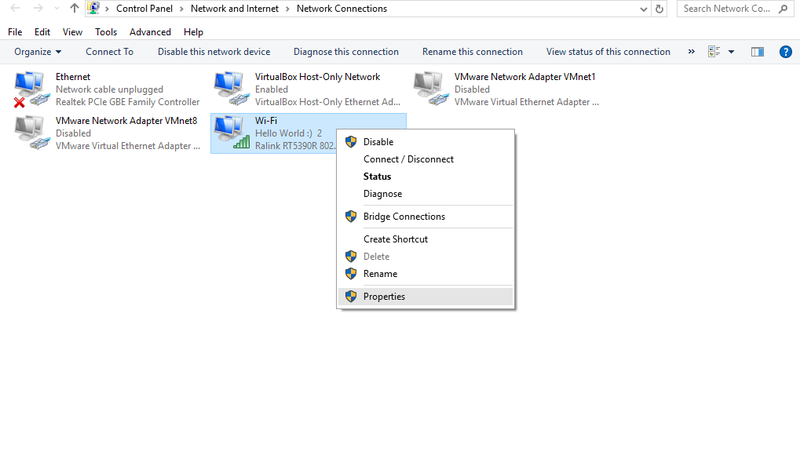 Just click on the start and search for ‘Networks’ and click on ‘View Network Connections’ or ‘Change Adapter Setting(Windows 7)’. Now for the network with whitch you are currently connected. As I am connected to Wi-FI, so I will right click on it and click on ‘properties. In the list, double click on Internet Protocol Version 4(TCP/IPv4). And Select Use the following IP address. Now Enter the same details that you noted previously on command. 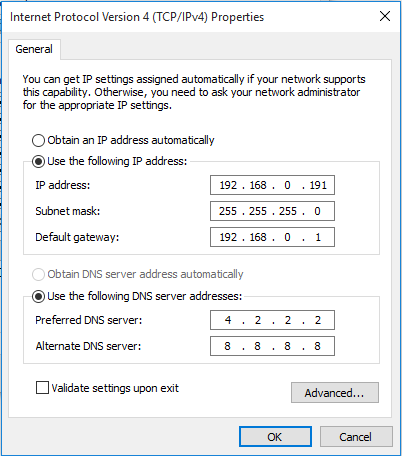 Enter the IP Address, Subnet Mask, And Default Gateway in IP Address Section and Enter the other DNS details in DNS Section and click OK to save the settings. Now, we have assigned our device a static IP, Let’s log in to our router and open a port. 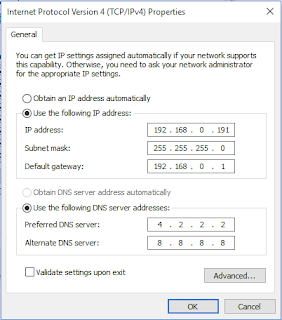 Open your browser and type the default Gateway in the address bar and press enter. Enter the username and password of the router and hit enter. The username and password of your router may be listed in your router’s documentation or under the router. Now to forward a port on the router, look for the option labeled as “Advance”, “Applications and Gaming”,”Port Triggering”,”NAT or QoS” or “Port Forwarding” and something similar. Now enter the port that you want to open in “External” and “Internal” fields along with the IP address of your device. Choose the TCP/UDP protocol and save. Check to make sure that the “Enabled” option is selected. Following is a screenshot of the example above.